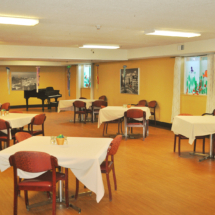 Located at the foot of the beautiful Wasatch Mountains in Salt Lake City, Canyon Rim Care Center is dedicated to providing premier care in rehabilitation and 24-hour skilled nursing services. Canyon Rim is conveniently located near the I-215 freeway just off of 3300 South and 2700 East, making it easy for family and friends to frequently visit during your stay. 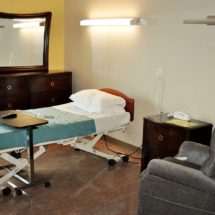 Private and shared suites will make you feel right at home and our exceptional nursing staff is dedicated to providing the specific care you need. Canyon Rim’s team of care professionals work hand-in-hand to provide around the clock care designed to get you back on your feet and home as quickly as possible. Providing peace of mind for the family is our priority utilizing our unique secure unit. It is one of the safest care communities in the area for our long-term residents. At Canyon Rim Care Center, we embrace a reverence for life and a heart for healing. We look forward to having you be part of our family. 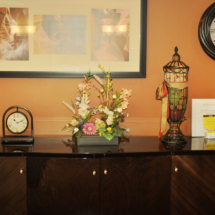 Canyon Rim Care Center offers more than just 24-hour nursing care, we cater to both the physical and emotional health of our residents and patients. Our care teams work together to create personalized treatment plans to help patients through their care journey. We strive to provide industry-leading outcomes through coordination of all aspects of your care.